"No, please, no more museums! Anything but musuems!" OK, so museums have a bad rap, especially where kids are concerned. Who hasn't been to a museum thinking it's full of cool items, only to discover that you'd rather be back in school studying for an Algebra test? I've been to a few of these museums myself and let me tell you that there are some that I would never ever want to subject my own kids to. Well, thank goodness Seattle has figured out a way to appeal to the whole family in the museum department because there are some cool museums that the whole family is going to love, and some of the best museums I've ever been to have been here in Seattle. We try to go to a new museum (at least one!) every time we get back to Seattle and what's great is that the kids actually look forward to visiting the museums. No, really, they actually love learning at all the museums that we go to so it's something that we continue to do every visit. And how could they not love going to the museums? It seems that more and more museums are trying to reach out to a younger generation which I think is a great idea. There is so much good stuff out there that kids would love if they were just exposed to it. So, that's why taking a trip to Seattle can be such a wonderful experience for the whole family. The kids can see some of the cool attractions and museums that Seattle has to offer, and the parents don't have to worry about their kids sitting in front of the TV or playing games on the computer. There are a bunch of different museums to choose from in and around Seattle, so no matter what your kids are interested in, you'll be able to find something, whether your kids are 3 years old or 18 years old. 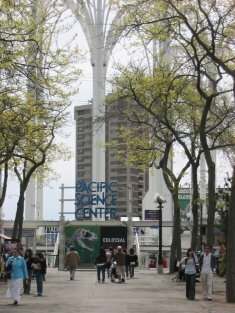 There's everything from the Pacific Science Center to the Boeing Museum. Like I said, tastes for everyone, and nobody gets a chance to say how bored they are! So no matter what kind of tastes you (or your kids) have, there's always a museum in Seattle that will fit what you're looking for. Return from Seattle Museums back to Seattle Tourist. What's your favorite Seattle museum? What's your favorite museum? Share it!